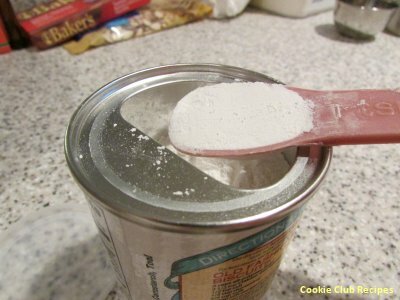 Combine dry ingredients; add to creamed mixture and mix well. 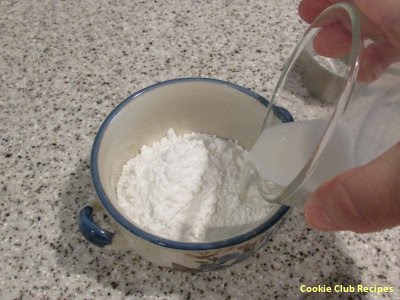 Divide dough into fourths, chill for 1 hour. 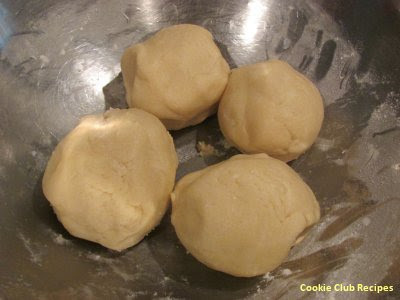 Roll each ball of dough into 3" x 12" rectangles. Place on greased baking sheets. 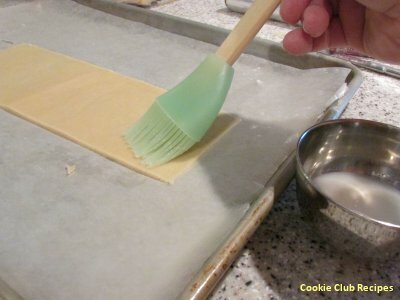 Editor's Notes: These cookies are light and delicate so use a small light rolling pin instead of a heavy one. 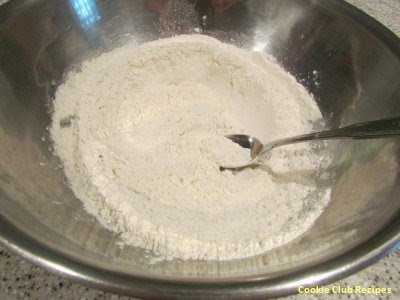 If dough is sticking, add a bit more flour to each ball of dough and the rolling pin, as needed. Since I wasn't sure how much the cookies would spread during baking (turned out to be not much), I baked one section at a time. 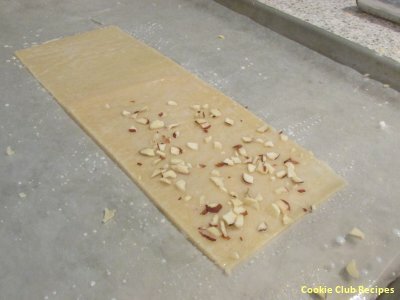 Also, I recommend rolling dough out directly onto waxed or parchment paper with a little cooking spray. 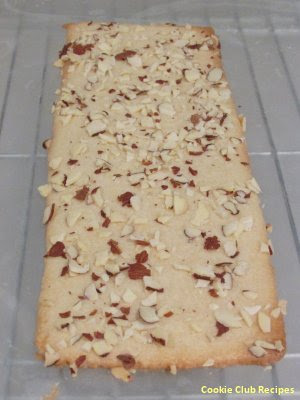 Makes it very easy to move to cooling rack after baking (another good reason to bake one section at a time.) 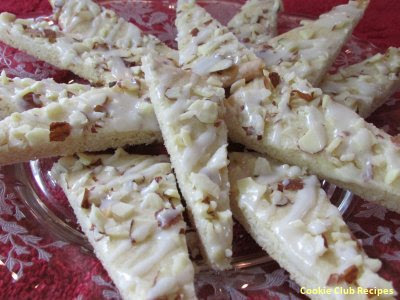 You could also cut these cookies into any shape desired, though the small triangles are more traditional and very nice. Brush with milk, sprinkle with almonds. 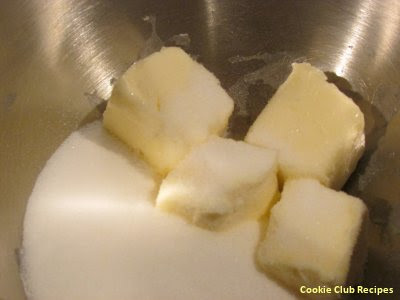 Bake at 325 degrees for 10 to 12 minutes or until firm to the touch and edges are lightly browned. 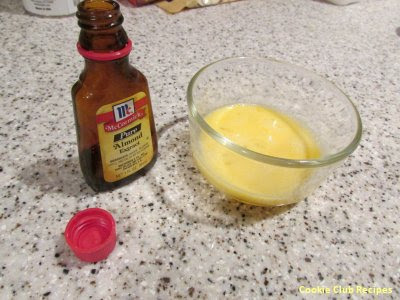 Remove from oven and cool on wire rack for a few minutes. 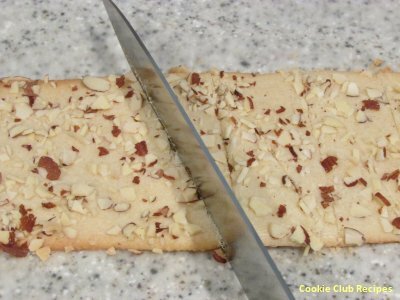 Cut diagonally into 1 inch slices. Let cool completely. 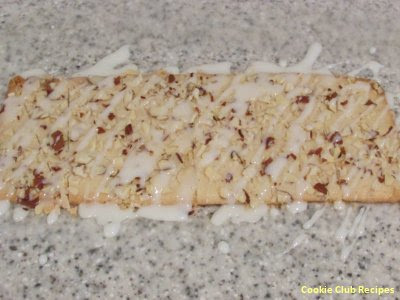 Combine icing ingredients; drizzle over bars. Makes about 10-12 cookies per each divided section of cookie dough.